Last edited by momopi on February 21st, 2012, 1:15 am, edited 2 times in total. Those guys make really funny videos. Thumbs up. I loved their music too. But I don't fit in with this typical SoCal Asian-American youngster crowd. They're very nice to me and all say I'm a cool and smart guy, but whenever I tag along with their crowd, I often find myself on the peripheries struggling to penetrate their social circles. What strikes me most about them is their suburban cliquishness. They also have a certain subculture, such as these preferences and features. (1) Boba. To me it seems like a typical part of mainstream California Asian-American identity. Tapioca Express ("TapEx") is the typical boba venue. (2) Going to Jamba Juice, YogurtLand, Chipotle, or sometimes Asian restaurants. I'd see large groups of Americanized Asian kids at these places all the time. (3) "Hanging out" (i.e., socializing in closed cliquish groups). It's very difficult to fit into their group if you didn't go to their high school, or even middle school. (4) Mainstream American pop music. Mostly mainstream pop, mainstream R&B, electronic, or hip-hop. Rihanna, Chris Brown, Red Hot Chili Peppers, Drake, Coldplay, and more. (5) Breakdancing. Often I'd see large groups of breakdancing Asian guys at parks and schools. (6) Basketball. Especially recently, this involves obsessing over Jeremy Lin. Personally I could care less, since I'm not a sports guy. I would consider this subculture to be the Asian-American parallel of the Mexican-American "Chicano" subculture. If I were of Mexican descent and grew up around Chicanos, I'm sure I wouldn't fit in either. First-generation Mexicans make fun of them by calling them "pochos." The SoCal Americanized Asian kids would be the Asian equivalents of "pochos," but first-generation Asians are too nice to call them by such names, haha. What I see is that these youths are trying to develop unique American identities, and they do so according to social class and, to a lesser extent, geographic location. Many lower-class Southeast Asian and Hispanic youths would pick up features of the African-American "gangsta" subculture, while the upper-class Northeast Asian youths would pick up features of the Caucasian "surfer dude" subculture. People accuse them of being "wannabes," but what they are actually doing is creating their own "hyphenated American" identities. This, unfortunately, can result in some intense cliquishness. I'm not criticizing or making fun of them. Just some observations. Last edited by Falcon on February 21st, 2012, 12:36 am, edited 1 time in total. Most asian american teens, mainly males, are turning into a bunch of wanna be gansters. I can't tell you how many asian kids in seattle and tacoma think they are little bloods wearing red clothes and air jordans. The stupidest part is that these are middle class suburban kids with parents that love and support them, rather than the low class black kids who dress and act the same way. Falcon has it nailed and im sure the problem is more rampant in soCal. Ned Zeppelin wrote: Most asian american teens, mainly males, are turning into a bunch of wanna be gansters. I can't tell you how many asian kids in seattle and tacoma think they are little bloods wearing red clothes and air jordans. The stupidest part is that these are middle class suburban kids with parents that love and support them, rather than the low class black kids who dress and act the same way. Falcon has it nailed and im sure the problem is more rampant in soCal. Great observation, but like I said, I wouldn't call them wannabes. It's that they're pressured to assimilate to American culture (or subcultures), and thus have to find their own ways to do so. Again, here's what I wrote. Falcon wrote: People accuse them of being "wannabes," but what they are actually doing is creating their own "hyphenated American" identities. This, unfortunately, can result in some intense cliquishness. For instance, Chicanos aren't simply trying to become black. In fact, in South LA they generally don't like blacks! They're borrowing features of what's considered to be American, and then molding them into their own emerging ethnic minority youth identities. But I order my drinks without the tapioca. The latest fad here in Irvine is Boiling Point (hot pot). If you ever come up to South OC, hit me up -- my treat. Falcon wrote: Those guys make really funny videos. Thumbs up. I loved their music too. Correct me if I'm wrong but this pattern is very similar to the NorCal Asian American youngster crowd. I intermingle with Asian American college kids up in NorCal and it's very similar...just add karaoke I grew up in SoCal in a Latino neighborhood, so for me, the Chicano culture is hard to generalize..there were different cliques/scenes. At my high school, cliques were roughly based on music/dress style. My high school had the wannabe gangsta/clubbing crowd, preps, jocks, rockers/goths, greasers, chunti/paisa and inbetweens. I was in the between group, which was a mix of "nerds" and "rockers/goths" crowds. The aforementioned groups intermingle sometimes and people jump around groups of friends/cliques. What Falcon describes fits the wannabe gansta/clubbing crowd just replace boba and jamba juice with American/Mexican resturaunts. I avoided most of those people like the plauge...since they were generally into the underground drug scene. I live pretty close to South OC, so why not. 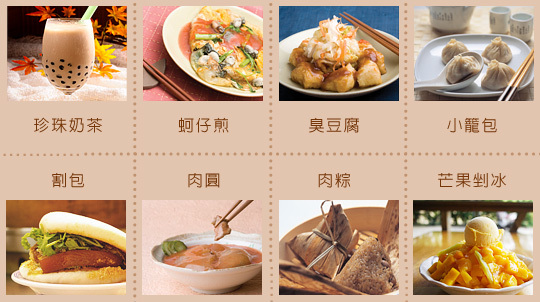 Are there any good Taiwanese xiaochi/小吃 places in Irvine that you'd recommend? I really miss all those Taiwanese treats. I like my drinks without the boba too. And, without ice. Those also happen to be my parents' preferences. We just want that pure, savory milk tea. The Asian girls at the cash register always look surprised whenever I say, "No boba, no ice please!" Hit me up if any one of you would like to visit Tijuana or Mexicali. I'll show you the "real" Mexico that most gringo tourists never get to see - hard-working families, residential neighborhoods, live acoustic music, Chinese-owned businesses, university campuses, cultural centers, and other hidden gems. There are also Asian-American crowds that are very different, such as the children of Southeast Asian refugees in the Central Valley. - SoCal'ers use "like" a lot and raise their intonations at the ends of their sentences much more. They say "I'm going to take 5" instead of "I'm going to take the 5" when talking about freeways. - NorCal'ers use stereotypically "hella" much more. The difference really isn't quite noticeable, since people move around within California a lot, especially college-age kids. Sure. Guppy House is good for shaved ice, Class 302 is good for some appetizer dishes, Liang's Kitchen is good for 眷村 style dishes, and so on. If you're willing to drive further, Sinbala has good Taiwanese sausages and oyster pancakes. There's a ding tai fung in Arcadia for small steamed buns. For Chinese breakfast, try Yi Mei in Rowland Heights or Four Seas in Hacienda Heights. For Dim Sum, we'd need to get my Cantonese GF. She's the expert and her figure shows eating one too many har gows. LoL. If you come up on weekends in the morning, I could recommend stopping by San Juan Capistrano for tea at Los Rios. Excellent freshly baked scones with cream. 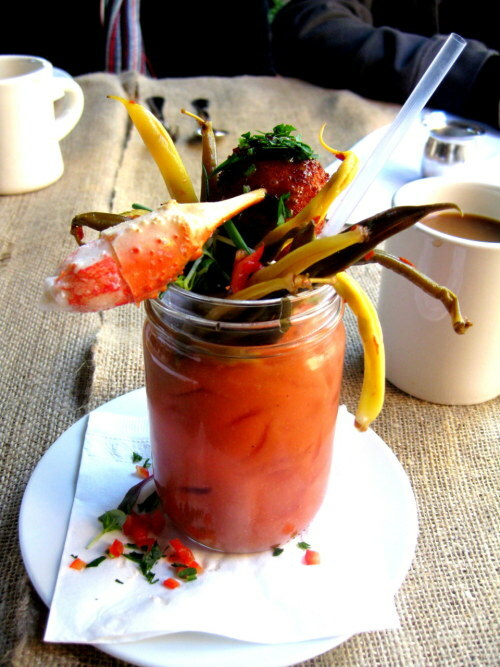 Ramos house across the street has a killer bloody Mary for breakfast with meatball and crab claw. wow ! months ago i started to folllow this guys (along with kevjumba) ! they make real funny and creative stuff i like the wong fu weekends ahhaha later i discovered the fung brothers ! GOOOSH I DUNNO WHAT IS THAT BUT IT LOOKS MOUTHWATERING ! colibri wrote: wow ! months ago i started to folllow this guys (along with kevjumba) ! they make real funny and creative stuff i like the wong fu weekends ahhaha later i discovered the fung brothers ! Haha, Fung is a Cantonese last name, which is why they're crazy for dim sum (點心)! KevJumba is Taiwanese. As for the WongFuProductions guys, at least one of them has got to be Taiwanese, even though all the online sources say they're Chinese Americans. yES ! red his bio too though he says he prefers asian girls only ha, my visa expired a month ago and im doing the paperwork to renew it (actually it was all online) i hevnt been in L.A in ten years hope to go there in march, the first thing ill ask for is going to be dim sum and thta stuff that @momopi posted ! Anyways, what does momopi stand for? I've always thought it's 摸摸屁, hahaha.